League City Body Shop is proud to offer a full range of car maintenance services to vehicle owners located in the greater League City area. 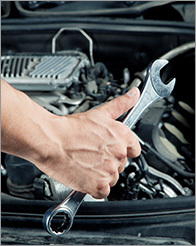 Regular League City car maintenance is recommended for any vehicle to ensure that no problem goes undetected. Regular car maintenance also helps your vehicle run smoothly and efficiently and, in most cases, saves customers a lot of money. Indeed, a poorly running vehicle, while it may not show any signs of malfunction, tends to guzzle more gas than a fine tuned one.